Top pic: Chile varieties from Romero's Farm of Dixon, NM are ready for roasting at Los Alamos Farmer's Market held Thursdays in the Mesa Public Library's parking lot. 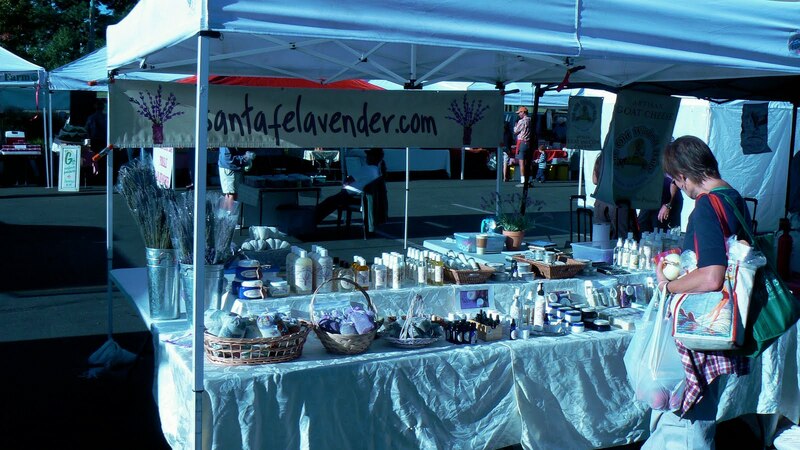 Bottom pic: Santa Fe Lavender isn't in Sequim, but it is purple and has great lavender products. Glad to have found your blog since I am another lover of New Mexico. 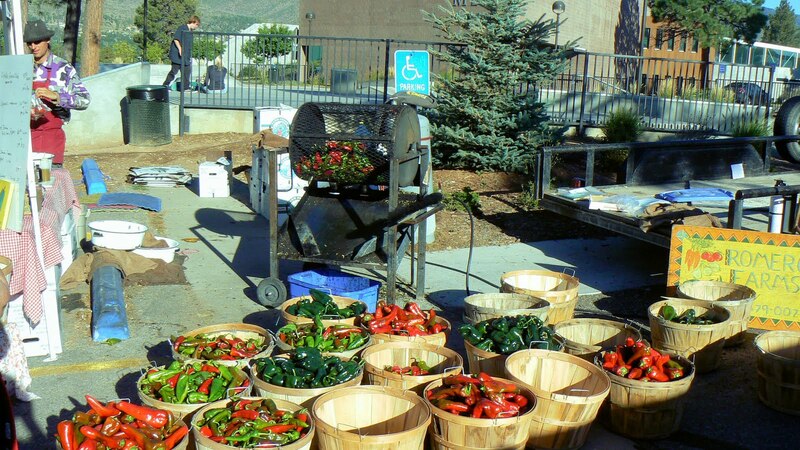 The roasing chilis look terrific.